Remember the Cork & Board? The Dorset Street restaurant closed more than a decade ago, but in my early years in Vermont, it was the only place to go for wurst and spaetzle. 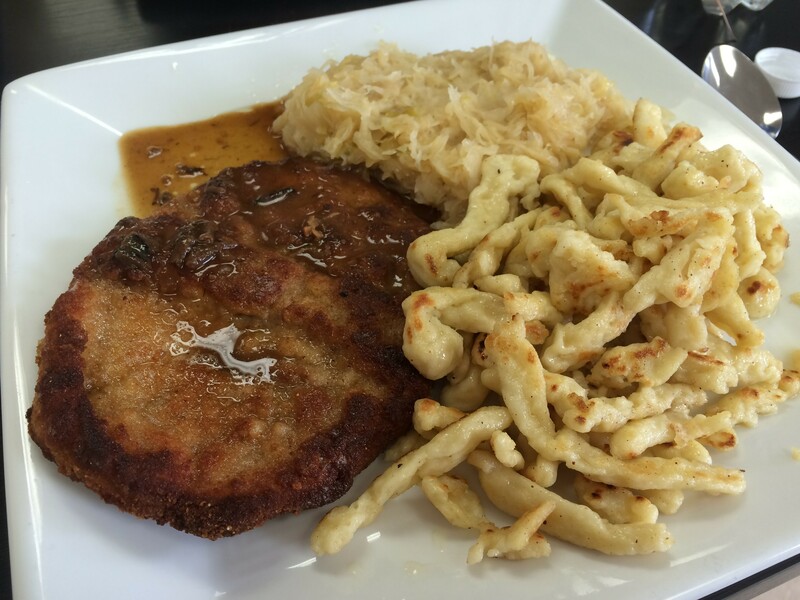 German cuisine has never really taken off in Chittenden County — perhaps we're just too health-conscious — but it's been back in South Burlington, now on Williston Road, since August. 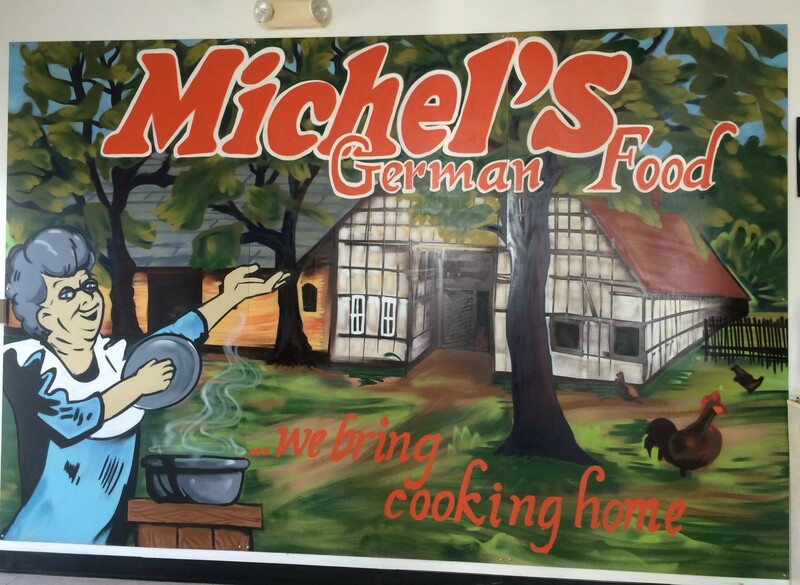 Michel's German Food doesn't have much in common with the Cork & Board. In fact, it doesn't really have much in common with a restaurant. The space consists of little more than a service counter and a small kitchen in what was until recently the Hairy Bear kids' salon. There are a few tables, but no seats. Takeout is encouraged, but the brave few who choose to stand will be rewarded with Teutonic bonhomie from general manager Addi von Eynern. It's like having a picnic with Heidi Klum, but presumably with better, heartier food. The grub was flavorful and well prepared nearly across the board, but that doesn't mean it was pretty. 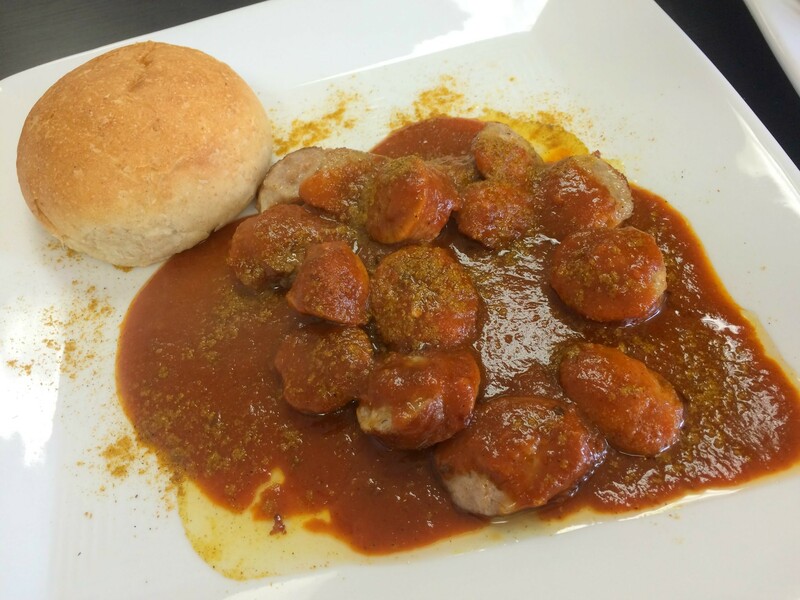 The currywurst consisted of juicy bratwurst served sliced and drenched in a sweet, tomato-based sauce. Curry came from both the pool of sauce and a liberal shake of powder. In summary, it was far better than it looked. 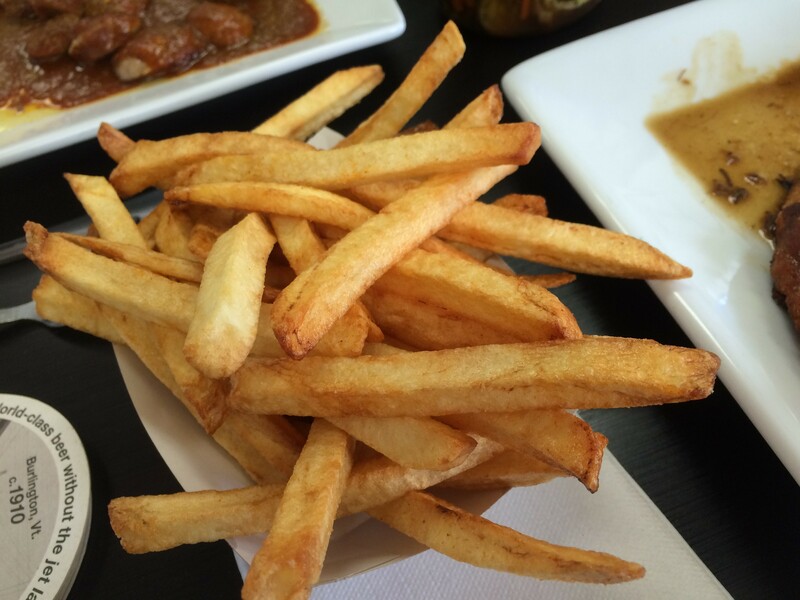 Crisp fries on the side completed the typical fast-food dish. Eynern provided ketchup and mayo packets for dipping, but the curry was the most satisfying accompaniment to the hand-cut beauties. The pork schnitzel was pounded to a uniform thinness, but it was still a bit fatter than usual, which translated to more moisture in the meat beneath the crisp breadcrumb coating. Eynern said that the thin pool of sweet-and-sour mushroom sauce on the side was mostly there to keep the meat juicy. It was an unnecessary measure, but the sauce was still a nice addition to the extra-long stretches of nutmeg-spiced spaetzle. The dumplings came at an extra price of $3.50, a surprise when we got our bill. A choice of sauerkraut or red cabbage was included. Eynern suggested we try the former, which was indeed sour and uncommonly tender in the wake of some heavy fermentation. This was my first time trying Hochzeitssuppe, or German wedding soup. 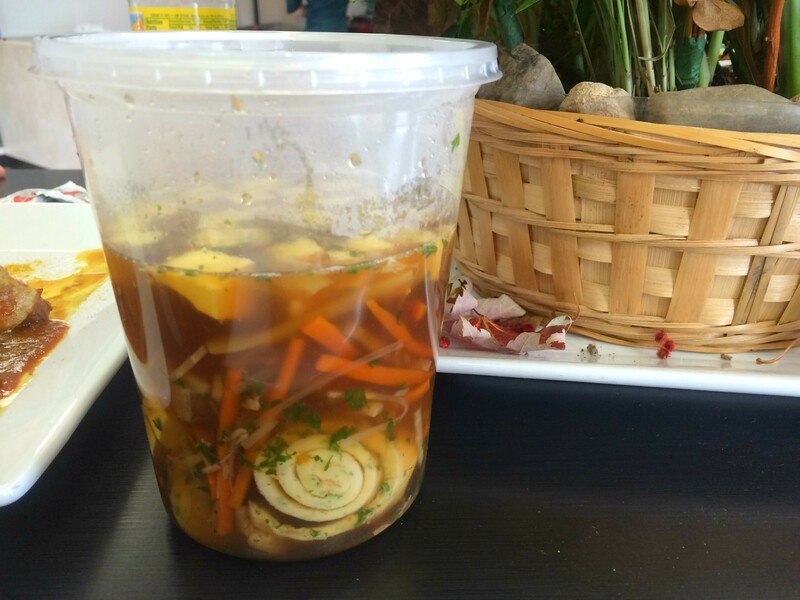 The clear, dark broth was flavored with slivers of carrot and leek as well as cubes of soft, stewed beef. But the fun came in the form of rolled crêpes, which took on the role of noodles, along with cubes of fluffy egg yolk cooked to share an uncanny resemblance with Japanese tamago. Yes, it was served in a take-out container, but the effort — dare I say love — with which the soup was crafted was apparent. We initially ordered two desserts, farina pudding and a chocolate mousse. But Eynern brought out two farinas at the end of our meal, saying that something unappealing had begun to grow on the mousse. TMI, yes, but I appreciated her honesty. 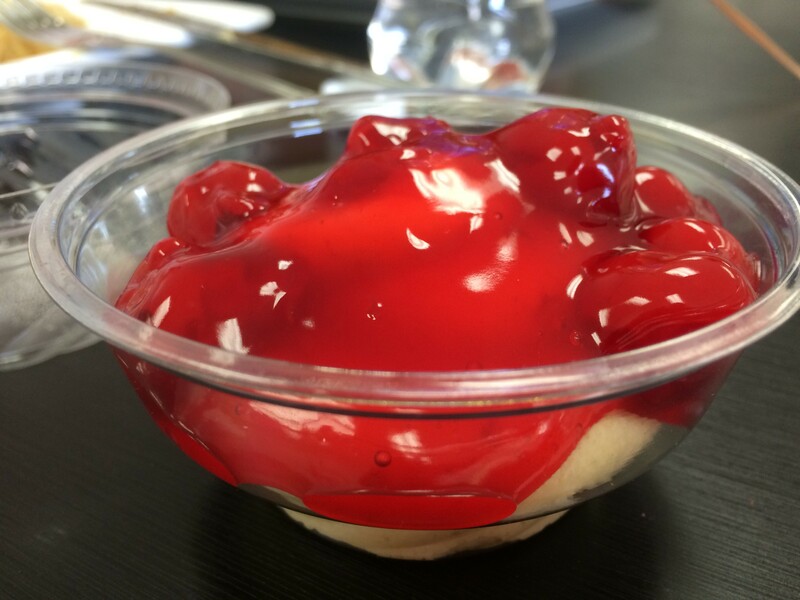 I didn't appreciate the burgeoning sour milk taste of the pudding we did get, though. Perhaps it would be smart for the chef, Norbert Sass, to make desserts in smaller quantities to ensure they're always fresh. But the strengths of the hole-in-the-wall outweigh its weaknesses. How could they not? Home-cooked German comfort cuisine is heavy stuff.